Malcolm de Sousa's world title bid is over after he missed out on a semi-final spot at the Champion of Champions. The Jersey champion suffered a tie-break defeat to Alastair White of Scotland, losing 14-6, 7-8, 1-2. De Sousa, 22, had finished third in his group in New Zealand to qualify for the knock-out stages. The tournament brings together the national champions of 24 countries and jurisdictions. White will face England representative Tom Bishop in Sunday's final in Christchurch. Prior to the event, following in the footsteps of Jersey postman Tom Greechan, who won the tournament in 2011. 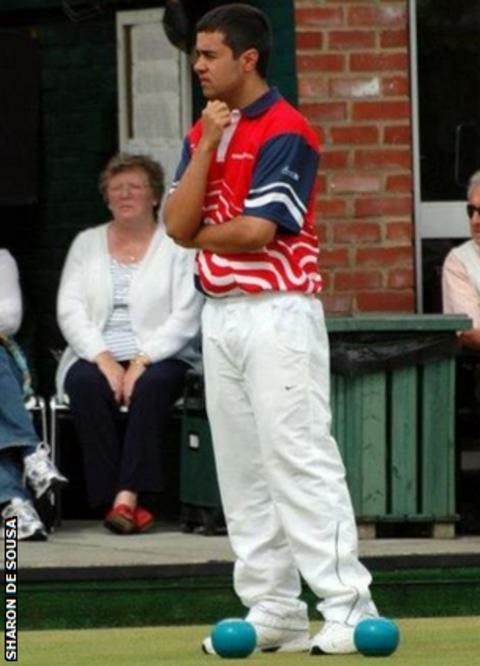 Read more on World Bowls Championships: De Sousa debut "fantastic"